Earlier this month, I was talking about how I love point 'n' click adventures and how the company Westwood Studios actually took a punt in this genre. This led me to talk about Jennifer Sward, who was the Producer and Voice Director for the classic The Legend of Kyrandia. Today I'm going to focus the spotlight on a colleague of hers called Michael Legg. Legg is a man that has been in the games development industry for almost three decades now but what is probably seen as pretty rare in the industry, has only worked for a couple of games development studios, namely Westwood Studios and Petroglyph Games (which is basically Westwood Studios Mk II). While at Westwood Studios, Legg worked on several classic games including all The Legend of Kyrandia games and 1997's Blade Runner. At Petroglyph Games, he's worked on games such as Star Wars: Empire at War and Universe at War: Earth Assault. He currently serves as co-founder, President and Lead Programmer at Petroglyph Games. Here are some of the milestones and highlights of his career in timeline format! 1980 - Legg enrols at Bonanza High School. He starts attempting to develop computer games on an Apple ][ + using BASIC, Pascal and 6502 Assembler. 1984 - Legg completes school and enrols himself at the University of Nevada-Las Vegas, studying computer science. 1986 - Legg manages to land a job at Westwood Studios. 1988 - Legg graduates from university. 1992 - The Legend of Kyrandia is released. Legg worked as a designer, writer and Lead Programmer on the game. 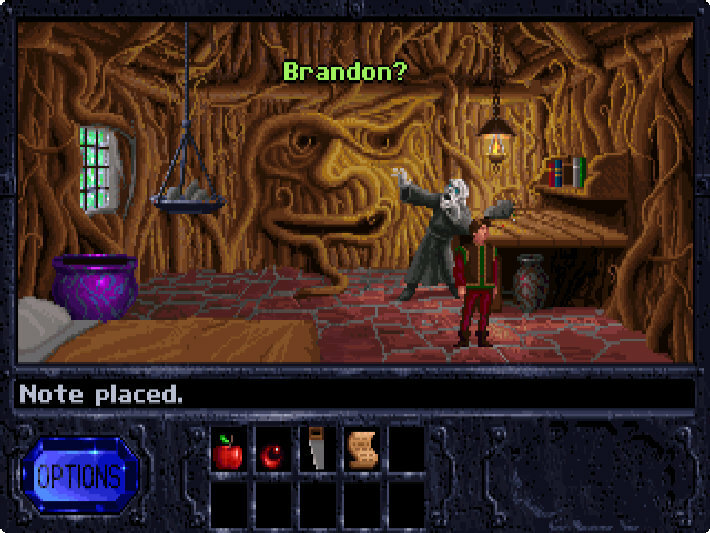 He says he was very much inspired by the Lucasarts adventure games of the early 90s. 1993 - The Legend of Kyrandia: Hand of Fate is released. Legg was Lead Programmer on the project. 1994 - The Legend of Kyrandia: Book 3 - Malcolm's Revenge is released. Legg was a Programmer on the project. 1997 - Blade Runner is released. Legg was a Programmer on the project. 1998 - Westwood Studios acquired by EA. 2002 - Pirates: The Legend of Black Kat is released. Legg was a Programmer and Designer on this project. 2003 - Westwood Studios is liquidated. Petroglyph Games is co-founded by Legg, Steve Tall and Joe Bostic in Las Vegas. 2006 - Star Wars: Empire at War is released. Legg worked as a Lead Programmer on the project. 2007 - Universe at War: Earth Assault is released. Legg worked as a Programmer on the project. 2009 - Panzer General: Allied Assault is released - Legg provided additional programming on the project. EA Legend of Kyrandia Michael Legg Petroglyph Star Wars Westwood Studios Where are they now?